Verses 14-21 are some of my favorite verses in all of Scripture. I mean look at what Paul is praying – he is praying that the Ephesians would be strengthened with POWER so that they would be fueled by faith and grasp how glorious is God’s love for them. What’s not to answer in a prayer like that. He is not praying for their safety or their health or their financial situation or their employment status or that they would be happy. He is praying that these Christians in Ephesus would experience from God something that would transform their lives on the inside – not just change their circumstances on the outside. He is praying that the Ephesian believers would be radically changed so that the watching world stand up and take notice. I do not meet many believers who are fueled by the power of God and daily live faith-filled lives. I do not meet many believers who who have such a thorough, all-surpassing grasp of the love of God that that they are “filled to the measure of all the fulness of God.” Nor would people say these things about me. But it is the kind of spirit-filled life I aspire to. The question is… what am I going to do about it? v. 1 – What is “the calling you have received”? v. 12 – What “work of service” are you involved in? v. 13 – What does the phrase “whole measure of the fullness of Christ mean”? v.27 – Can you identify any area in your life where the devil has a foothold? v.29 – How have you intentionally used your mouth this week to build others up? v.32 – Is there anyone that you harbor unforgiveness towards? 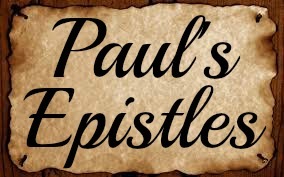 What does Paul say is the first step toward a forgiving heart?